Warning: reading this story may increase your pulse and cause temporary stress. Imagine this: Your association recently deployed a new association management system (AMS). Unfortunately, several departments throughout the organization still use and maintain their own distribution lists instead of pulling lists from the AMS. When staff receive email address updates, they only update the department’s distribution lists, not the AMS. Consequently, some important constituents—including board members—aren’t receiving electronic correspondence and complain to the CEO when they realize they are out of the know. A meeting is called. Who’s responsible? Fingers are pointing all around the table. Most of them eventually land on the communications director in charge of newsletters, who in turn points fingers at the membership director in charge of the AMS, who points fingers at government affairs, who blame the IT department because, after all, technology is their responsibility. The IT director can’t believe what she’s hearing. Why are we in charge of the membership database? The integration, yes, but not the database. Fingers point back to the membership director. He’s burning up too. Why should he take the responsibility and blame? He wants to point his finger at the CEO who has given him neither support nor authority. How is he supposed to convince the senior staff in other departments to adopt the AMS? This account of inter-departmental bickering, back-stabbing, and blaming is admittedly an extreme example, but it’s not all that far removed from what happens in a number of associations, especially when there are no common rules in place for the use of the organization’s database. Furthermore, the same scenario could play out with a website. No one has ownership. No one has been given the responsibility (along with the corresponding authority required) for running the site. The home page becomes a Wild West where pages become ghost towns and whoever has the most power in the room claims the prime real estate. Technology shouldn’t cause this kind of chaos and stress. And it won’t, if a technology governance plan is put in place from the very beginning. 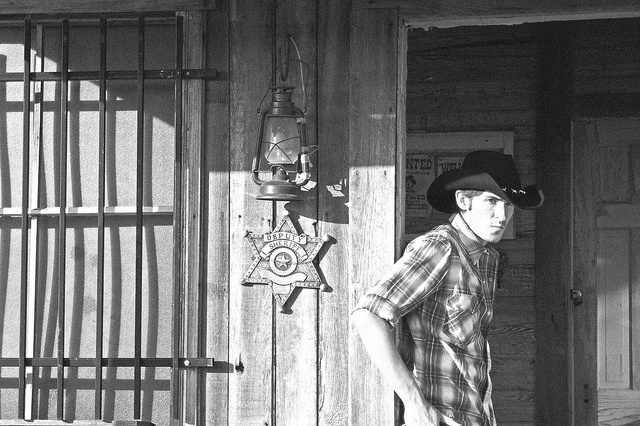 There’s a new sheriff in town—technology governance. Every mission-critical system—like an AMS, financial management system (FMS), or a web content management system (CMS)—must have a business owner. This staff person is given the responsibility and the commensurate authority to ensure the system is used appropriately and effectively throughout the organization to achieve business goals. The business owner of the AMS might well be the membership director, whereas a CMS or website might be the responsibility of the communications department. But, with the exception of technology infrastructure, IT staff should not be responsible for the business end of an association’s mission-critical systems or website. They don’t have—and shouldn’t be expected to have—the subject matter expertise to make decisions about member data or website content. With a technology governance plan in place, everyone knows their roles and responsibilities. Leadership provides support for the plan and delegates the appropriate authority to those who have to create new processes, policies, and procedures—all aligned with the organization’s purpose in delivering value to its members. Decisions are made to advance the greater good, rather than individual or departmental agendas. Technology is used as it should be—to help the organization accomplish strategic goals and fulfill its mission. Technology governance is a peacemaker. When implemented properly, inter-departmental dysfunction is eliminated, and people play by the rules.